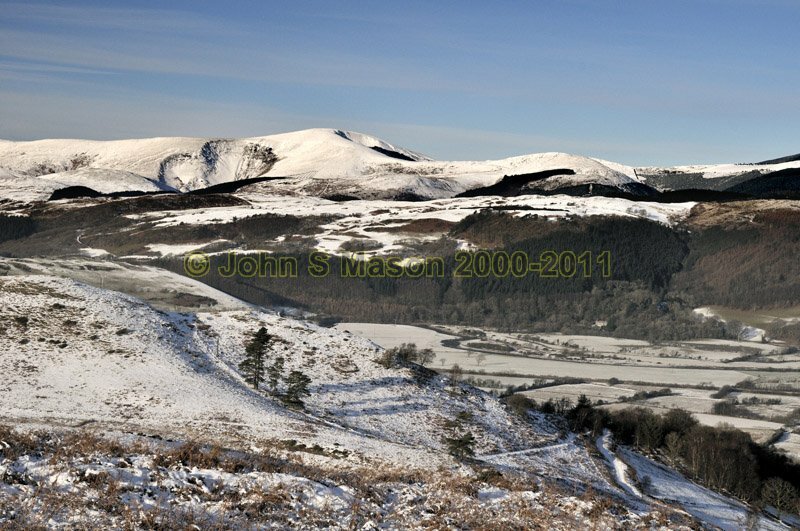 The Tarennau: Tarrenhendre from across the Dyfi Valley - Machynlleth is just out of view to the R.
The twin south-facing corries are an unusual feature dating from late in the last ice-age. Product number 011033. Email me to enquire about this image: click HERE.